The start of a new school year is fast approaching! 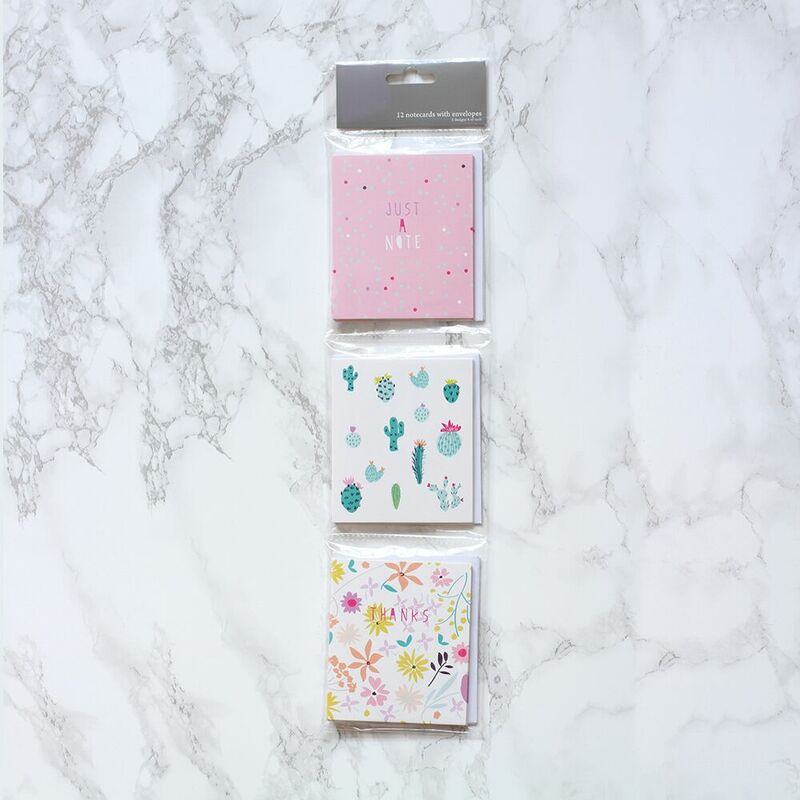 Belly Button Bubble brings new notebooks for every taste and offers a unique style for every student. Feeling creative? Why not make your own! With our Belly Button roll wrap and flat wrap, you can style and design your own book covers, talk about unique! 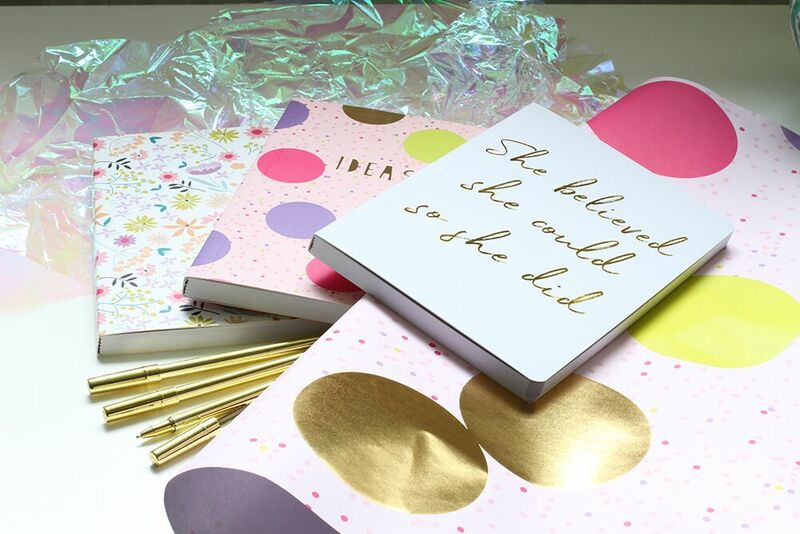 Be prepared and start the year right with cool stationary! Regardless of the poor English ‘Summer’, here at Belly Button, we’ve been making the most of the supposed sunshine season! Here are a few things that have inspired our summer designs. 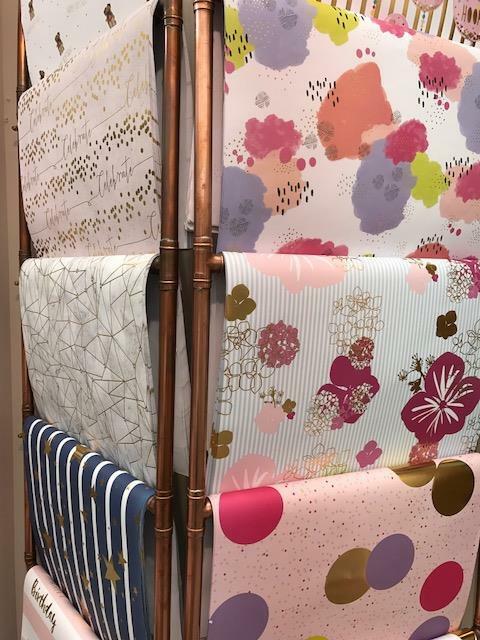 Bold beautiful foiled metallics in copper, gold and rose gold are a must this summer, from patterned fabrics for interiors, fashion and even make-up, this bold statement tone is a must! 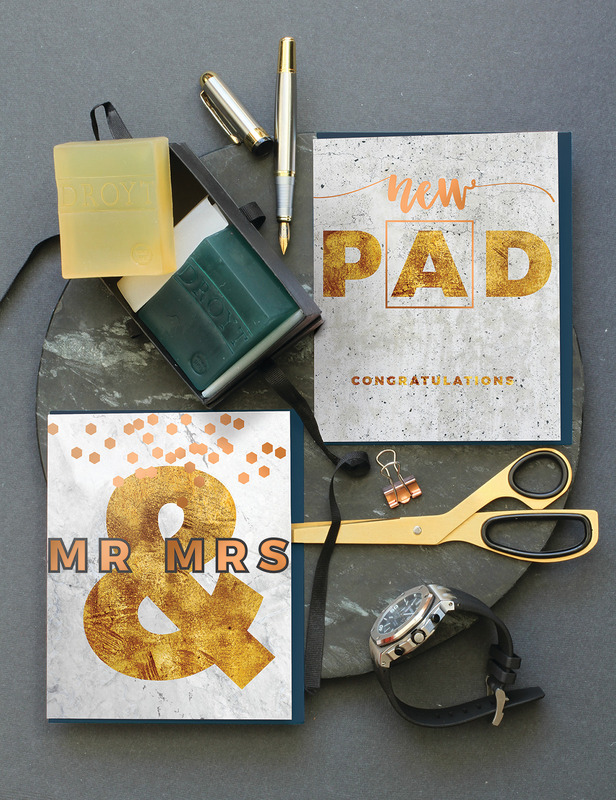 With a mixture of metallic foiling and opulent textures, we’ve created two new collections. Our new for 2017 Noir covers the gold and copper, whilst Blush Noir has the rose gold trend on point! Who doesn’t love a tipple on a warm(ish) summers eve? From processco to gin and tonic, trending beverages are everywhere! Especially in our new Platinum collection! The range motions stylish drinks for celebration, adorable animals and iconic captions. Summer brings colour colour and more colour! 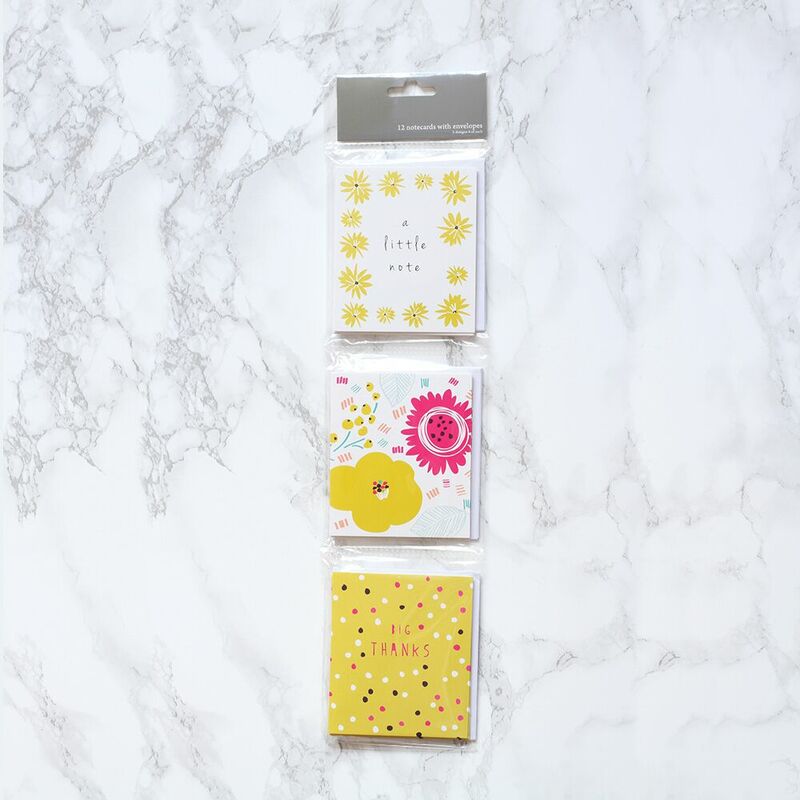 With the change in season, its hard not to be inspired by the floral blooms, glorious rays of sunshine (sometimes!) and an upbeat atmosphere as the summer rolls in to action. 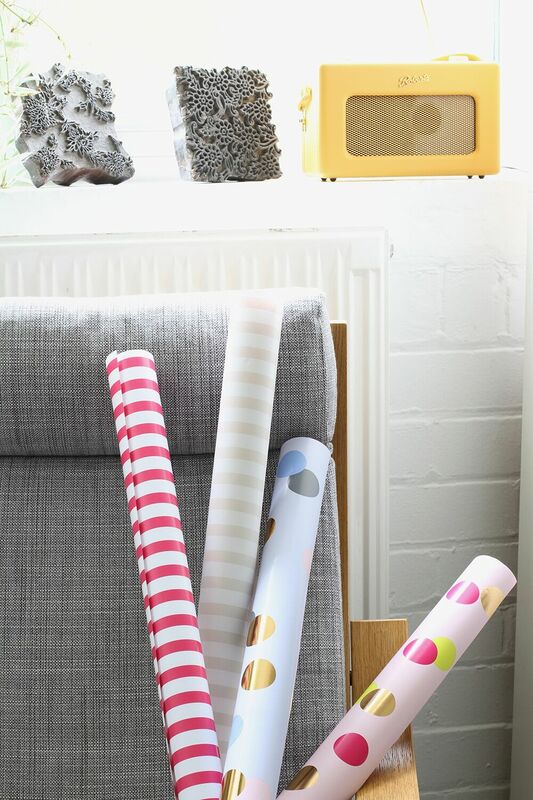 Introducing our new flat wrap! 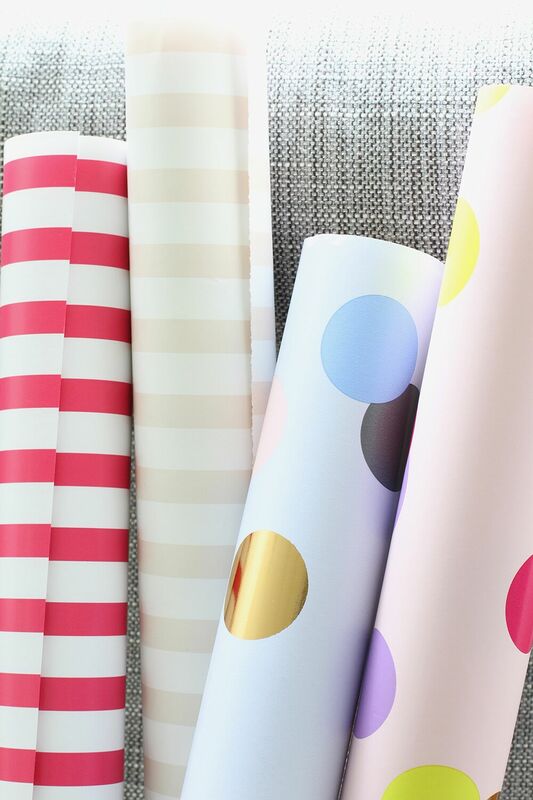 Summer colours that pop and new designs will have you 'covered' all year round! In the hustle and bustle of our busy everyday lives, its sometimes easy to forget that it's the little things that mean the most. Here at Belly Button Designs, we still believe a gesture of thanks goes a long way! 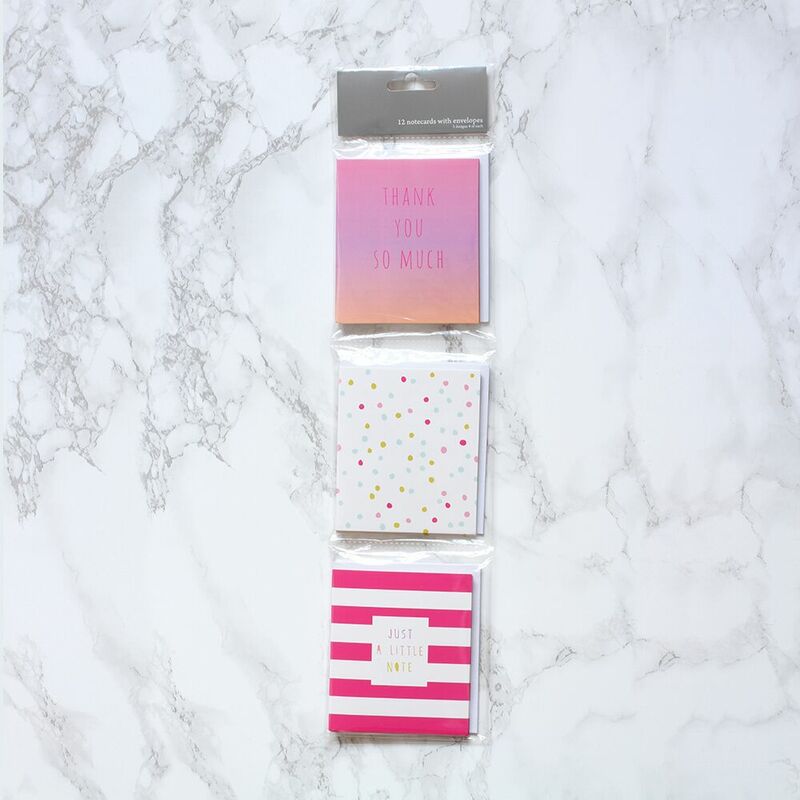 Our brand new Notecard packs will help you do just that. 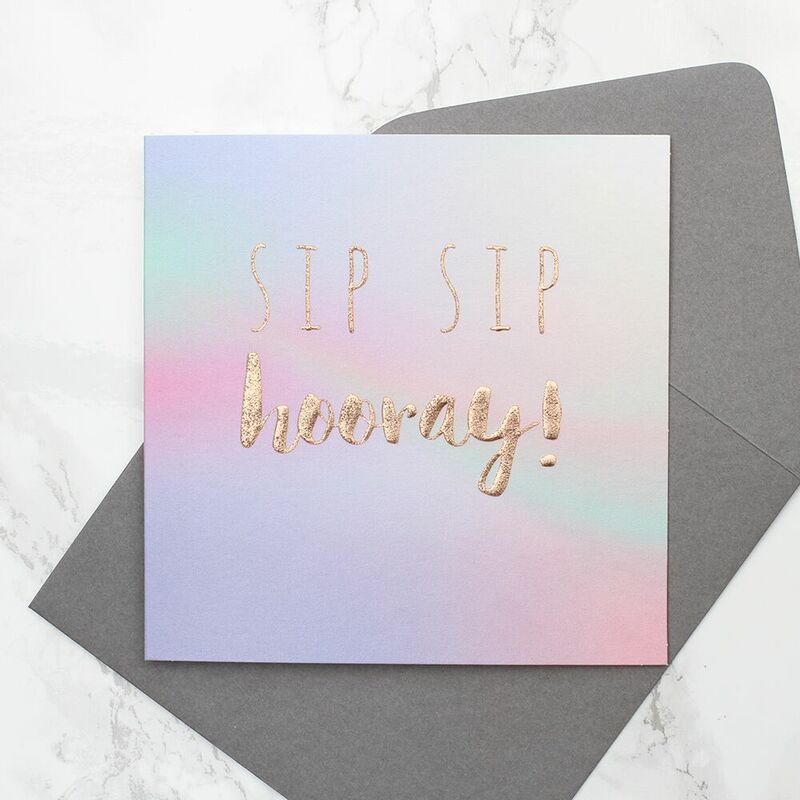 In packs of 12 with envelopes, these sends combine trend driven inspiration and bold graphics to make that thank you stand out even more! 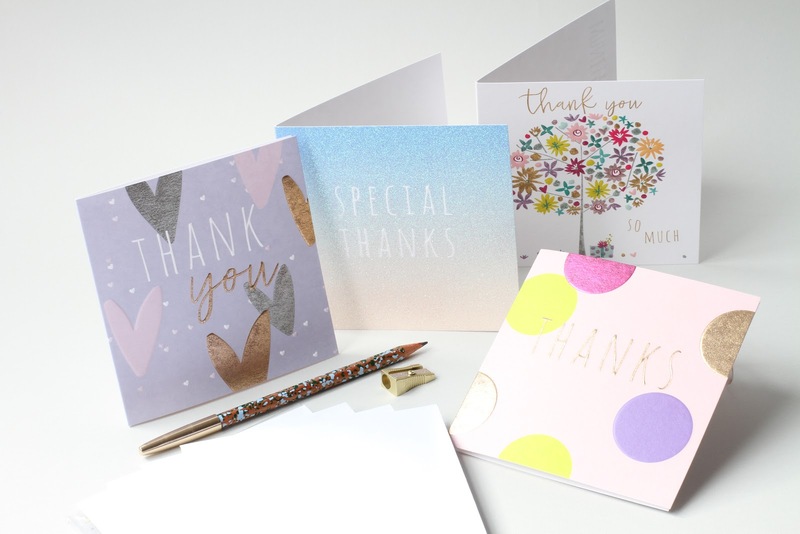 With sophisticated colour palettes and a distinctive illustrative style, our pack of 5 thank you cards are also new this year! 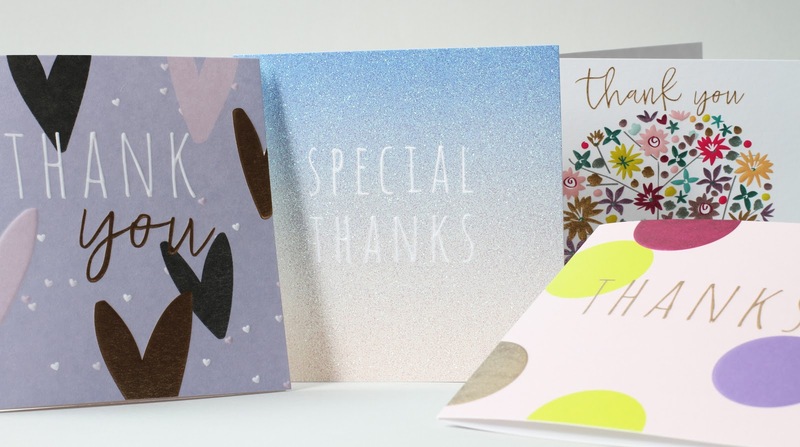 Choose from ombre glitter to contemporary polka dots to make that thank you so much more special. 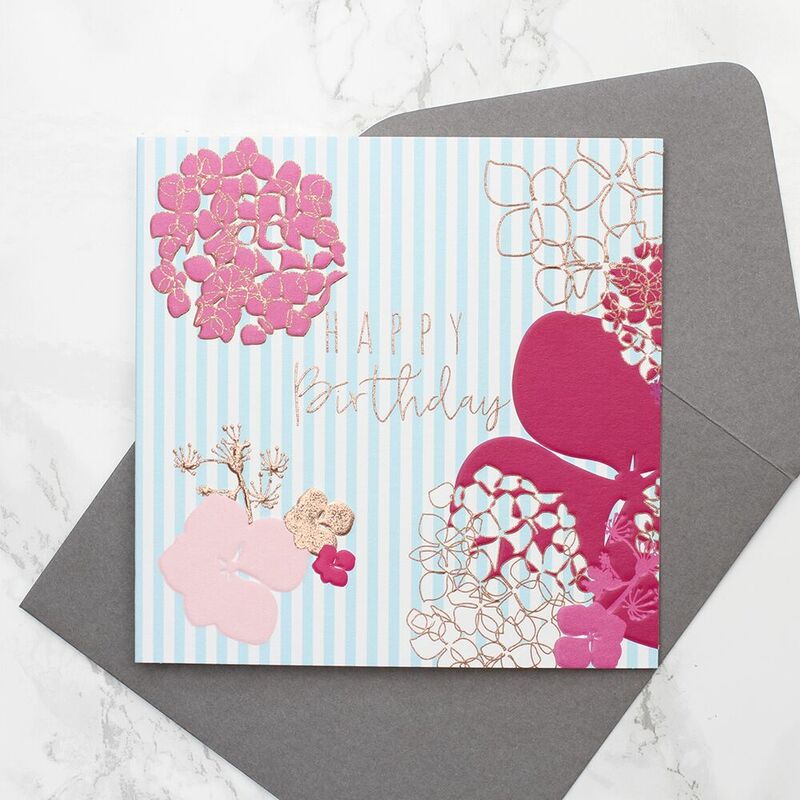 Here at Belly Button Designs we are constantly on the look out for fresh ideas and new inspiration! 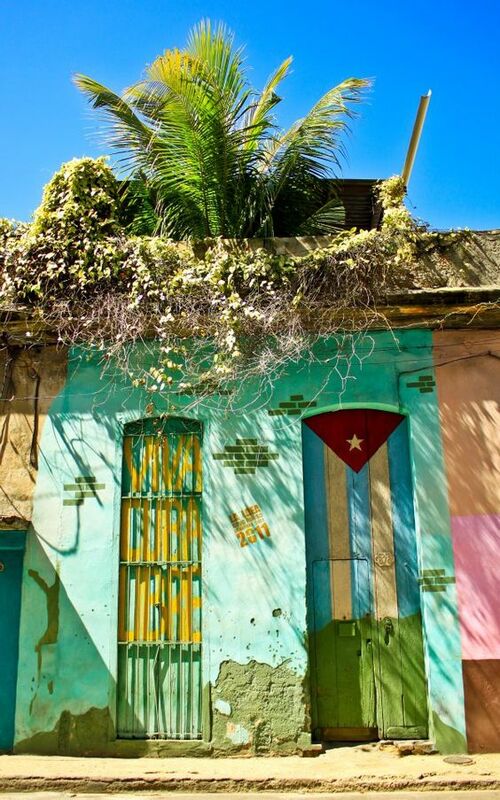 This week we're taking the time to look at styles and colour palettes from all over the globe, especially the beautiful country that is Cuba! 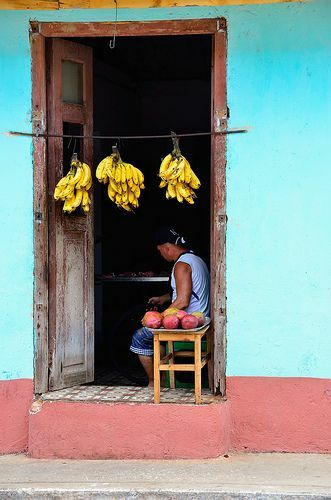 With its streets filled with endless colour, and a strong sense of vibrancy at every turn, Cuba offers a distinctive palette to play with. 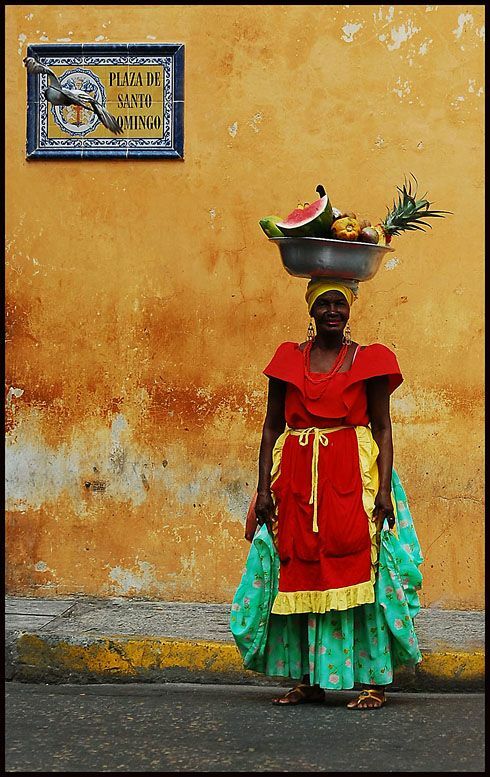 Not only are the streets popping with colour, but we are loving the traditional Cuban fashion style! Bold repeat print galore, this tropical paradise brings us the most beautiful clothing inspiration. All the prints and patterns to have a crush on, if only we were in the glorious Cuban sunshine! Whats new for PG Live! Driven by trend we, Belly Button Designs, have made our mark with brand new collections that are fresh and inspired every year, and 2017 has proven to be no exception! 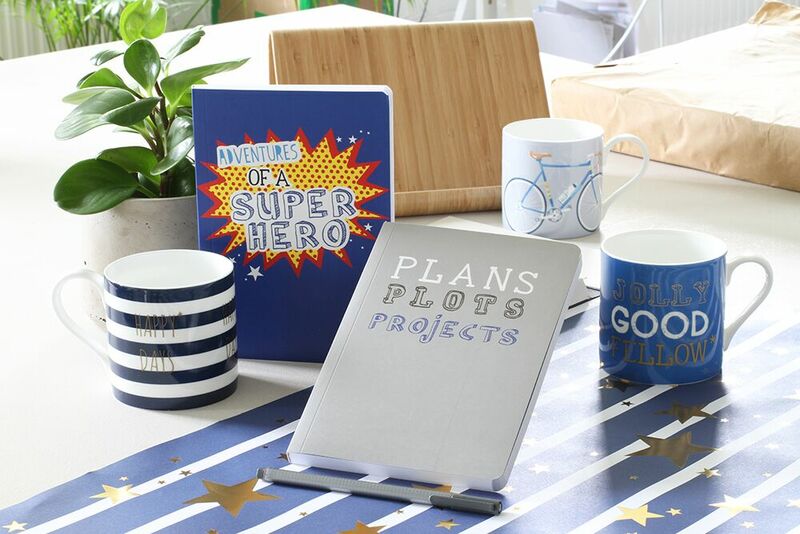 Be the first to see these exciting brand new contemporary designs that have launched at PG Live. With consistently high 'sell through' we've earned strong loyalty amongst leading design-led retailers of all sizes. 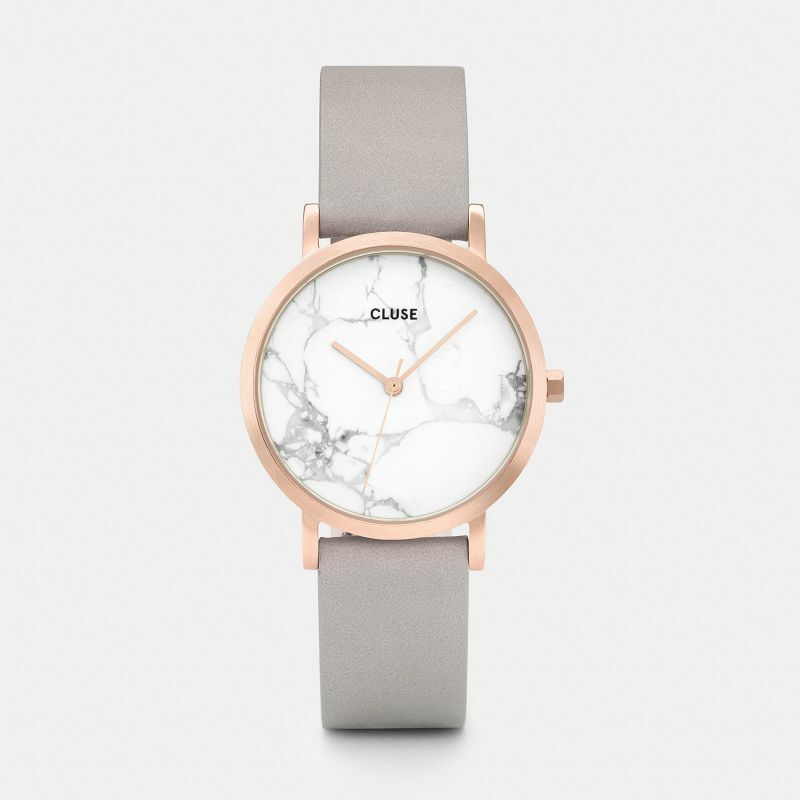 20 new designs have been added to our Award winning Platinum range, in the form of a pop-up, trend inspired collection developed from themes from our current portfolio, that explores colour, graphics, and draws on in-style fashion designs. 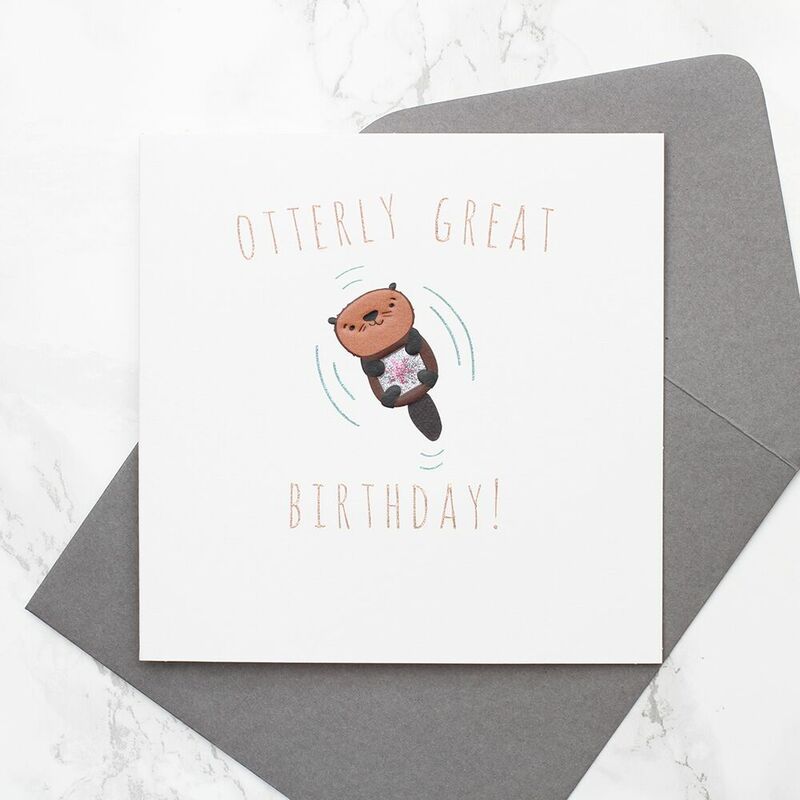 We need to mention our new animal inspired birthday cards that are in the mix of these new additions to Platinum that bring humour and charisma, from an 'otterly great birthday!' to 'birthday woofs!'. PG Live shows the progression of one of our most successful collections - Noir! Originally designed for men-in-mind, Noir has developed from a male driven audience to a range for all, with Valentines, Christmas and the extension of the everyday collection. 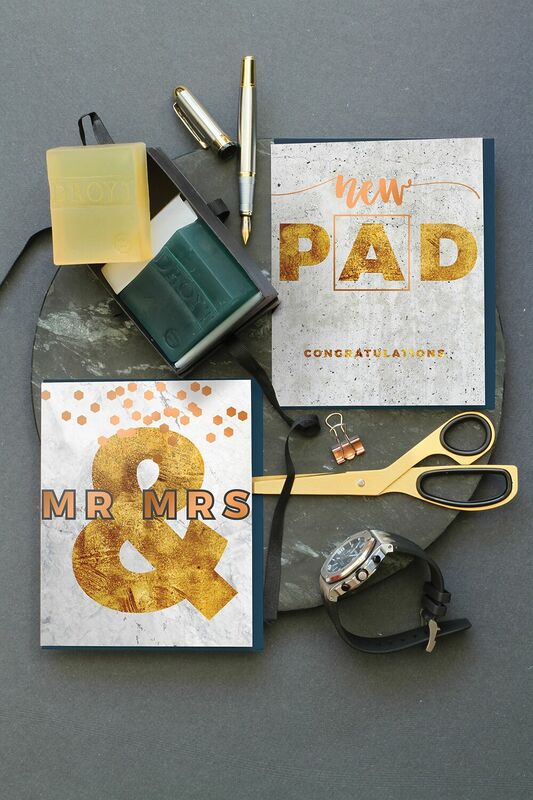 Keeping the use of opulent textures and accents of gold and copper, Noir covers weddings, birthdays and occasions, such as a 'new pad'! 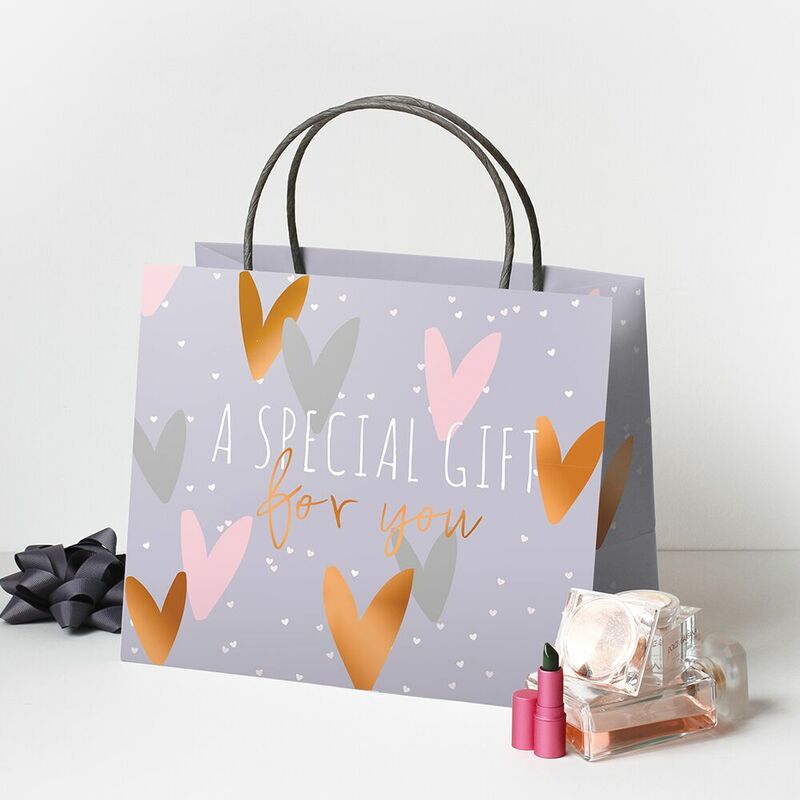 The Belly Button brand has become an instantly recognisable and top selling success story for hundreds of UK and global retailers, and it's from this ethos we’ve created new gift ware company Belly Button Bubble, offering quality gift bags, roll wrap, tissue, notebooks, albums and china mugs. Belly Button Bubble offers timeless elegance with our new Wedding Season range! 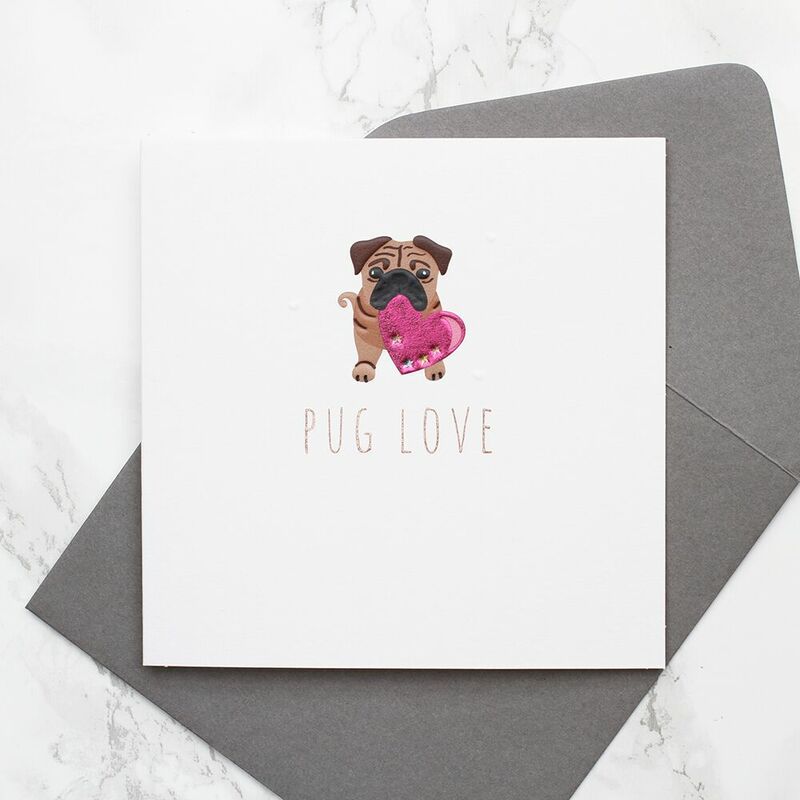 Beautiful designs of trending hearts that simply say 'I love you', mixed with an inspired colour palette, compliment our greetings card sends. 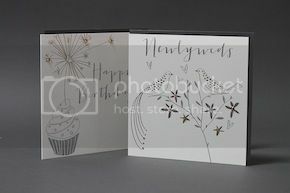 Coppers, pinks and greys accentuate our use of lilac and crystal greys to make you're wedding gift extra special. 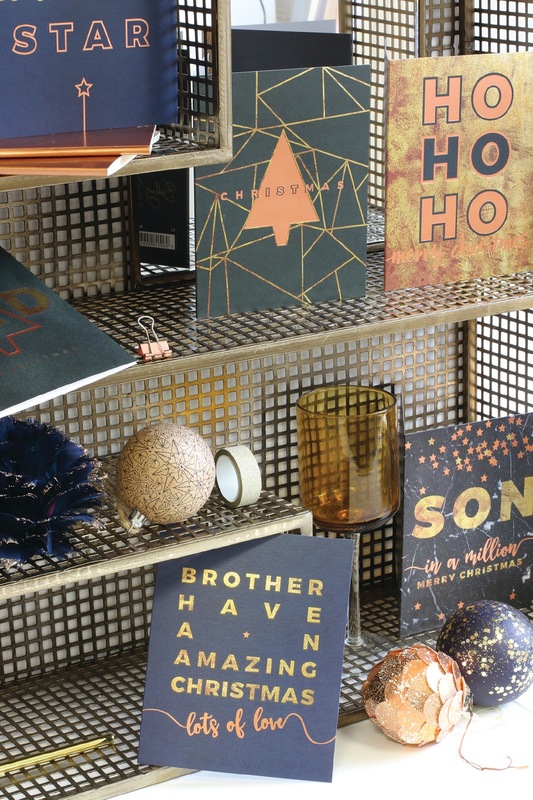 We truly belive our Christmas offering from our creative mavericks will make sure you've got the festive season truly covered with iconic designs to inspire, empower and suitably express personality in style! 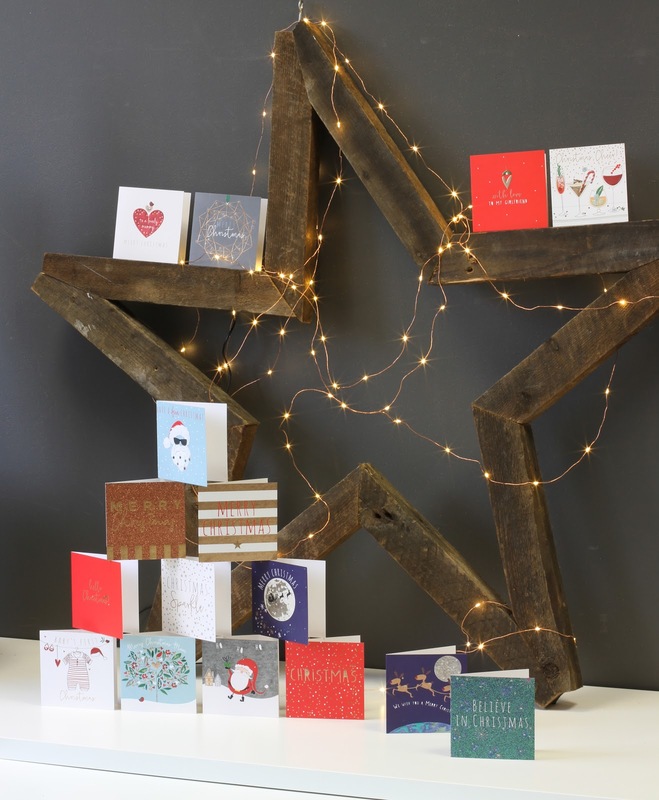 Brand new Estella will be hitting the Christmas stands this year! 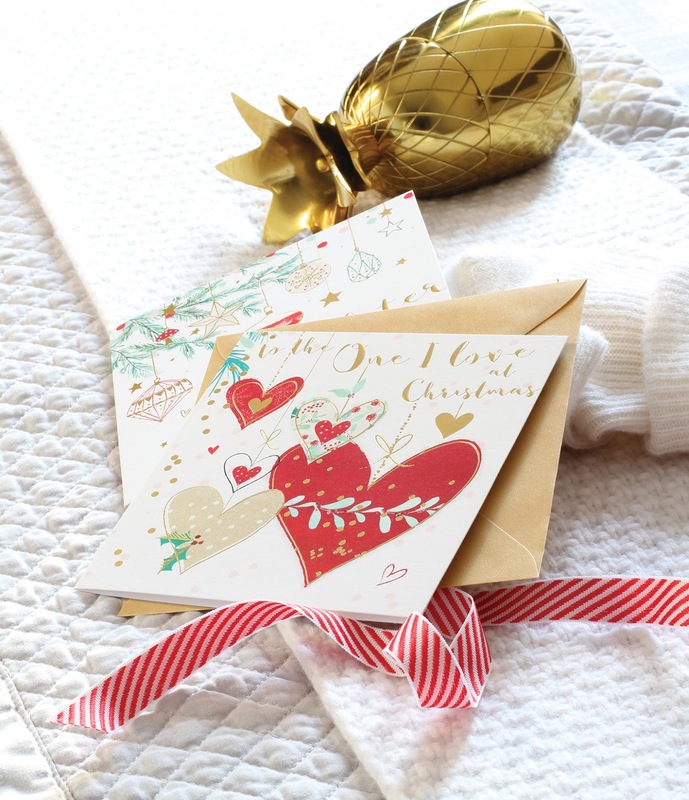 Painterly effects capture the heart warming coziness and concept of Hygge, to produce illuminating and fun Christmas sends. Our Belly Button Design boutiques are our pride and joy! 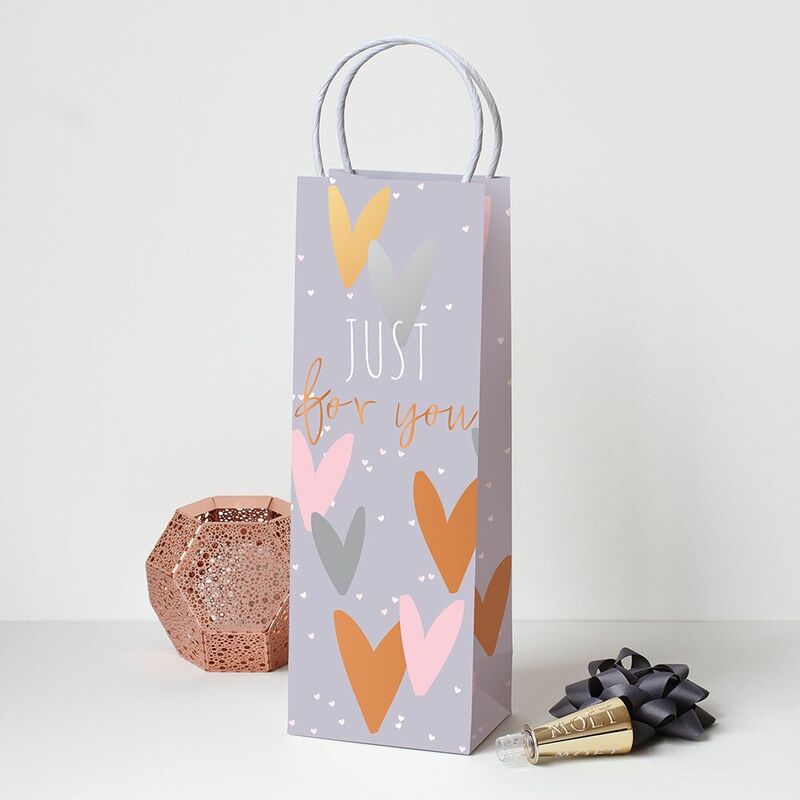 With so many wonderful products on offer to our lovely customers, we just can't help but be constantly on the look out for new and exciting products to bring to you! 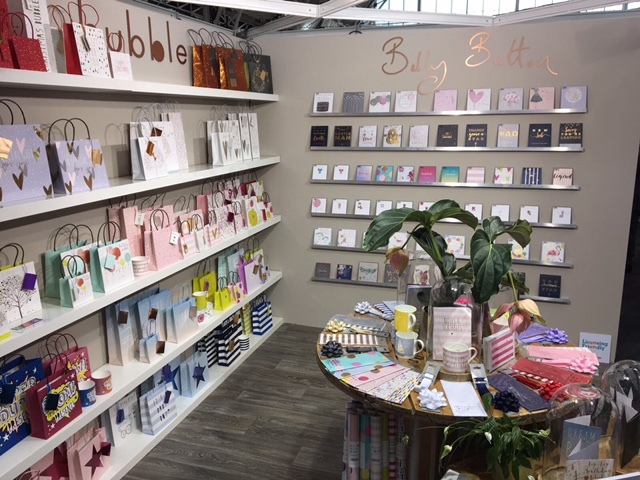 With our fantastic greeting card collections from ourselves, Belly Button Designs, and gift ware from our Belly Button Bubble range, our boutiques are filled to the brim with beautiful, heartfelt sends and gifts with everyone in mind! From a recent trip to Pulse London we have found even more fantastic items to bring to you! From watches to wicker, you'll be spoilt for choice! 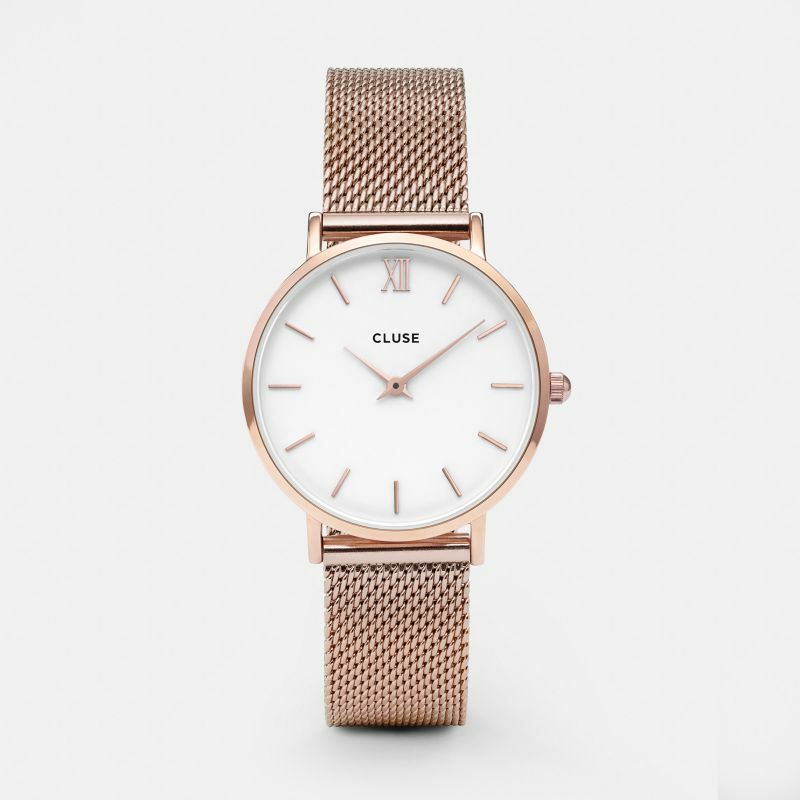 Cluse, a beautifully delicate style of watch, offers a beautiful gift for any occasion! 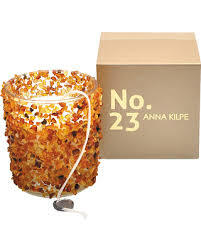 Anna Kilpe, a homely fragrance of amber, made from real amber! This candle has the power to change the feeling at home with light and warmth. Come and say 'hello!' at our Belly Button Boutiques at either Chorlton, Heaton Moor or Didsbury! Discovering young and new artists into the art and design world is essential, and at Beffroi de Montrouge, 62nd Salon d Montrouge this has what's just taken place! This event is specifically created to showcase a young generation of contemporary artists, to gather the recognition they deserve. From this fantastic event artists such as Felice Varini and Hervé Di Rosa have been revealed into the wider world. Felice Varini creates geometric perspective-localised paintings in a variety of spaces. 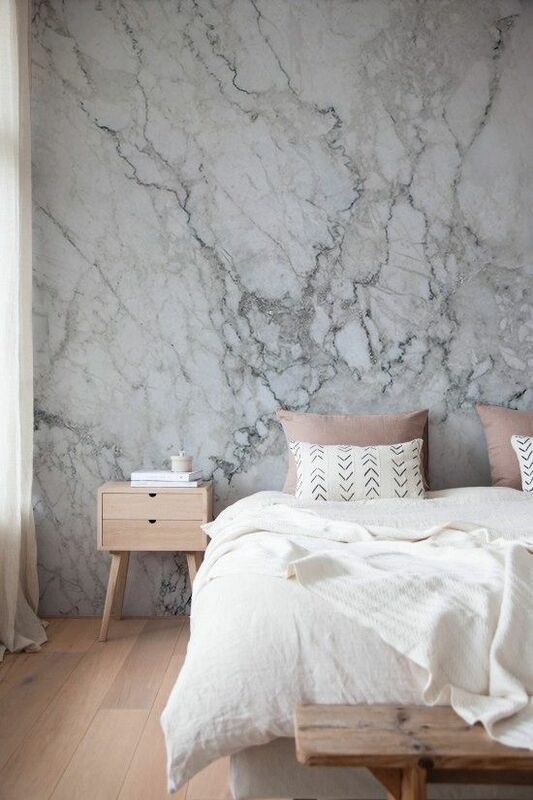 We love his choice of using architectural and urban spaces, and encompassing the idea of a vantage point behind his modern trend style led work. Hervé Di Rosa on the other hand is completely the opposite in style. A French painter who brings to life unique characters with various mediums such as sculptures, installations and animations, offering bold graphics and an even brighter colour palette.